Archaeologists have unearthed a large, centuries-old statue that is believed to have once stood guard over an ancient hospital at Cambodia's world-famous Angkor temple complex. 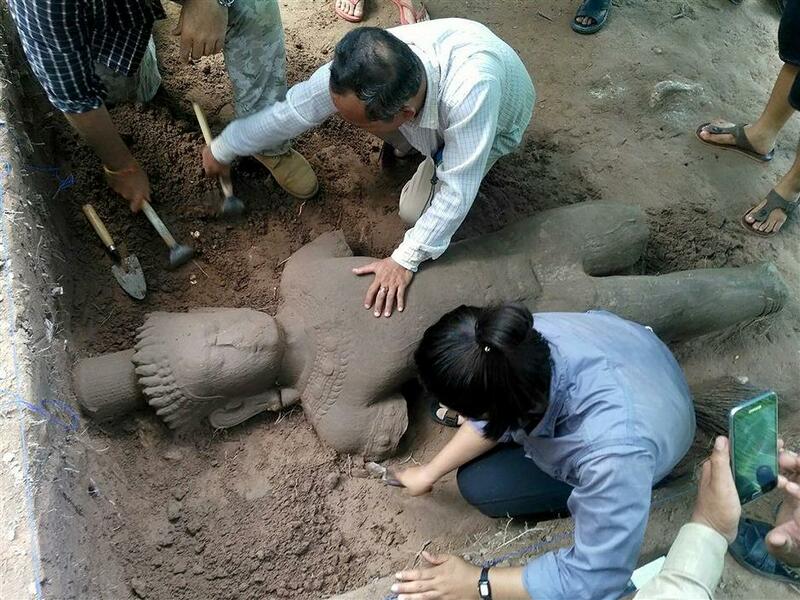 This handout photo taken on July 30, 2017 and released on August 1, 2017 by the Apsara Authority — the state agency charged with managing the Angkor temple complex, shows archaeologists excavating a statue from the ground at the complex in Siem Reap province. Archaeologists have unearthed the large, centuries-old statue that is believed to have once stood guard over an ancient hospital at Cambodia's famed Angkor temple complex.